Ever since I was a little girl, I wanted to be that wife. That wife who greets her husband when he gets home from work, that wife with freshly baked cakes and muffins for guests or when her husband deserves a treat, that wife who packs her husband's lunch and kisses him goodbye every morning, that wife with a clean and delicious smelling home, that wife who cooks dinner ever night that gets a thumbs up and a big mmmm. Silly? Stereotypical? Sexist? Quite possibly for some, but in my head that's just how it was meant to be. Was my Mum that way? Not at all - and that's probably why I wanted to do things differently. You see, unlike me, SIL Mama isn't a baker - at all - but the one thing she could bake was a recipe given to us by a friend - simply called Fay's Banana Cake. But there was one problem with Fay's Banana Cake - it had a tendency to be too oily and definitely wasn't banana bread material. 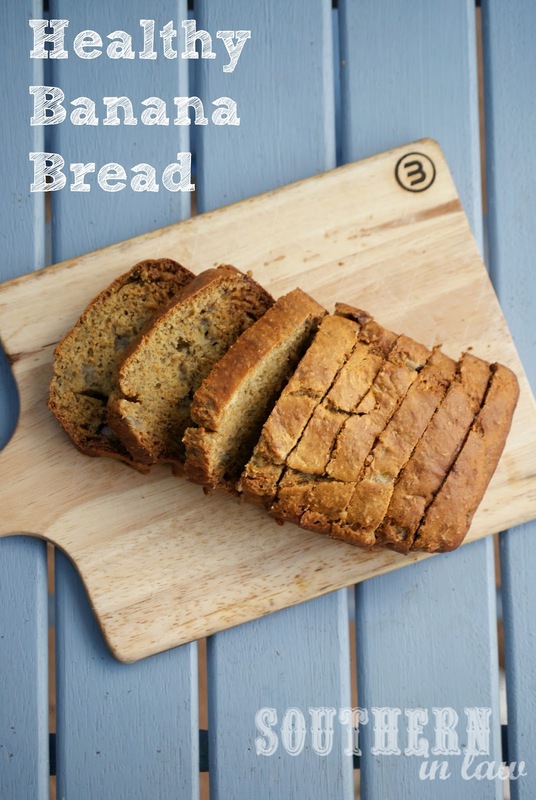 Being a banana bread fan - I started playing around with the recipe - and giving it a Kristy twist, I changed it to remove the two block of butter (500g) the original recipe used. What I came up with was a recipe that I, and the entire SIL Family, adore. In fact, these pictures don't actually show the entire loaf as the second I sliced it, I had hands grabbing at the board for pieces of banana bread! I must add, this banana bread does look quite a bit browner than usual as Miss Kristy decided to get distracted fixing something and left her banana bread in the oven until she spotted her oven mitt out of the corner of her eye, wondered why it was there and ran yelling "SHOOOTTTT! The banana bread!" - luckily it was still moist and delicious and disappeared before my eyes. optional mix ins: spices, nuts, chocolate chips, etc. Mash your bananas and mix in the eggs, honey, butter and vanilla. Mix together your flours, baking powder/soda and salt and pour into wet ingredients. Mix until just combined and pour into your baking tin. Bake for ~40-50 minutes, keeping an eye on your loaf to ensure it doesn't brown too much. If your banana bread is browning too much, but not cooked in the middle, cover it with foil. Bake until a skewer inserted removes clean and cool slightly before turning out of the tin. But tell me, what is your family's favourite recipe? It might be sweet, it might be savoury - it might have been handed down from Mother to Daughter throughout the years or maybe it's a brand new one you've created! Mmm! I love banana bread but rarely ever bake. Since I don't eat eggs I have experiment with some egg replacers, but this looks delicious! I think there's nothing wrong with being THAT wife! The world needs women who care about others. This sounds delicious. Glad I found your blog. 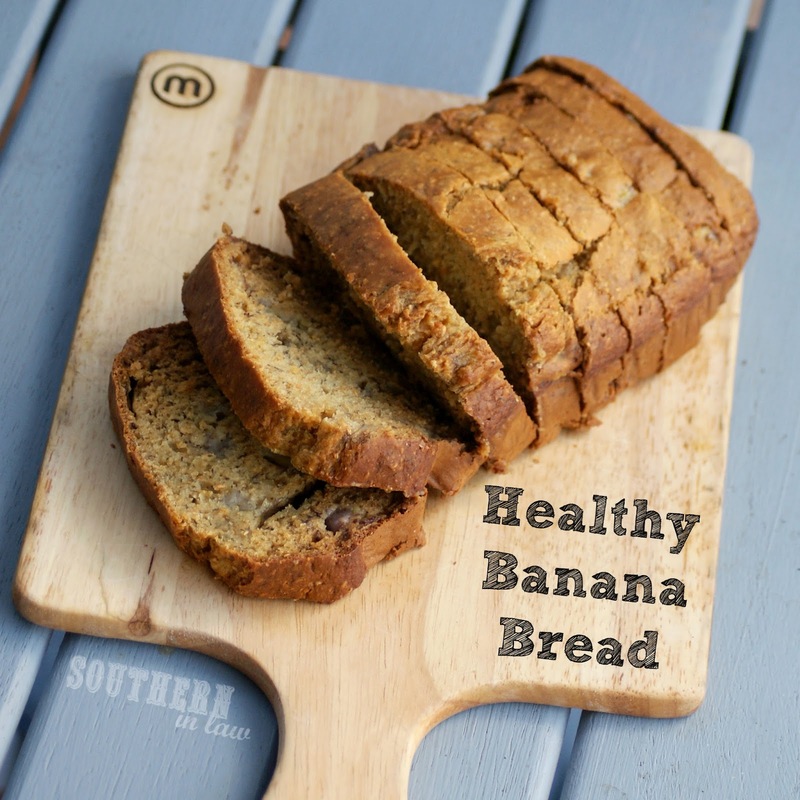 Growing up I adored my mother's banana bread. I still do but the recipe calls for items that we are no longer including in our diet. 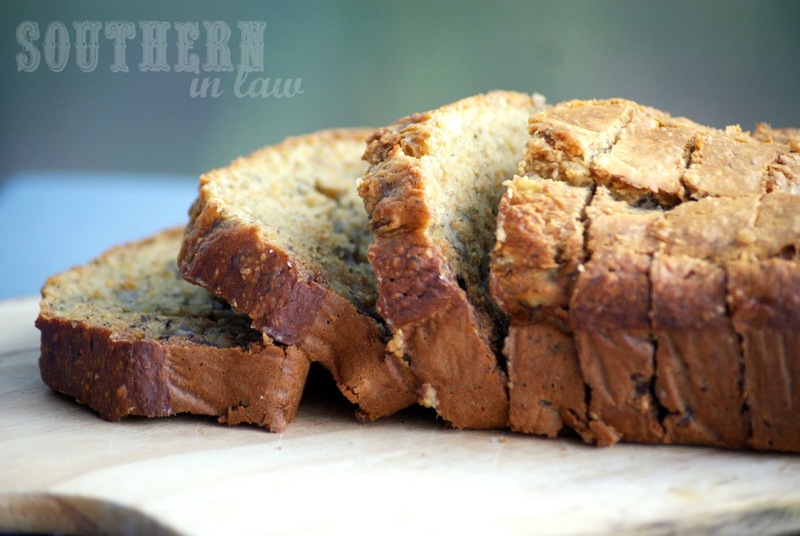 Since we have become more health conscience it has been a HUGE challenge to find a banana bread recipe that even came close to the taste and texture of my mom's recipe....until now. This recipe is wonderful AND it meets all of our health conscience choices...gluten, dairy and low (or no) sugar. YAY! We are so excited! I've made this 3 times so far. It is a new favorite and sure to be a regular on our menu. Thank you! I am so glad you love the recipe as it's one of our favourites! You'll have to send me a picture when you make it next time so I can add it to our reader showcase! I loved these! Super delish! Thanks for the recipe! I love this recipe! I added 1/4 cup of PB2 powder since I'm a peanut butter addict and it was delish. Thanks for sharing! It definitely is delicious, Michael! Hi there, I just discovered your blog through foodgawker and absolutely love it! I'm a huge fan of banana bread so dying to try this out. I don't have oat flour handy so would coconut flour be a good substitute? And how much? Thank you! If I'm making a wheat version for the family I usually use 1 cup wholewheat and 1/2 cup plain flour whilst for a gluten free version I use 1 cup oat flour (ground oats) and 1/2 cup gluten free plain flour. market of current age, for the prosperity of business. used as drinking H2O. Anaerobic sludge is obtained from the anaerobic treatment tank of the plant and mixed with food waste, grass, or wastepaper.